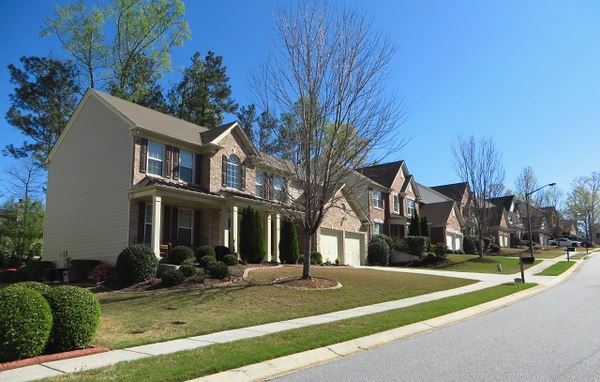 The Woodstock Georgia neighborhood of Woodlands is a 1,078 home community of homes and townhomes. This is a full amenities community with the details below about the community swimming pool, clubhouse, tennis courts and more. The Woodlands HOA offers a beautiful clubhouse for residents to use with a full kitchen, meeting room and general purpose room. It features spacious ceilings, hardwood floors and a fireplace. The Woodlands pool is open to residents and their guests. It features an Olympic size pool complete with a water slide to entertain and a community gathering place for many outdoor activities. An active ALTA community. The Woodlands features 10 tennis courts. From the playgrounds, sports field, walking trails and pools. This area offers swings, slides and lots of climbing activities to engage even the most active of kids. In addition to the miles of walking trails and biking trails, The Woodlands offers a sports field in which to play soccer / tag football. 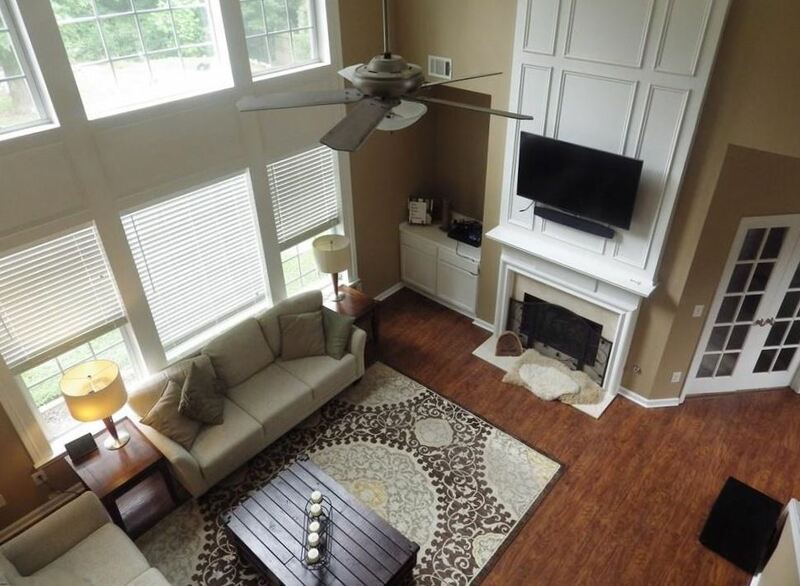 The Woodlands offers over two miles of walking trails and biking trails through out the community. A true nature community nestled in the out skirts of Atlanta. HOA fees, at time of post, are $700.00 a year. Most homes built between 1986 to 2008. The average list price, at time of post as listed in the Georgia MLS, is between $87,150 for an attached home to $400,000 for a single family home. Location-Directions-From 575 North to Exit 7 for GA-92 towards Woodstock/Roswell 4.26 Miles Left on Woodland Pkwy. Take first Right into Subdivision. Streets in the neighborhood include Acampora Drive, Annazanes Place, Araya Court, Aroura Dr., Balaban Circle, Bendleton Drive, Bloomingdale Court, Brendylynn Trace, Brianna Way, Burdock Trace, Chickory Court, Churchcliff Drive, Cleavers Close, Dexter Dr., Dooney Drive, Finsbury Lane, Gael Way, Helene Ct., Jay Wood Drive, Kigian Trail, Lauder Circle, Lazarus Dr., Magrino Cove, Melilot Ct., Mullein Trace, Nettle Close Dr., Normandy Drive, Oxeye Drive, Papillion Trace, Persimmon Trail, Pinchot Way, Pinewood Street, Pinoak Dr., Plantain Drive, Purslane Way, Revillion Way, Sorrell Way, Sprirlet Court, Sumac Trail, Susobell Place, Teakwood Lane, Towey Trail, Tyler Drive, Warnock Way, Watercress Drive, Wickley Way, Woodchase Way, and Yarrow Way.